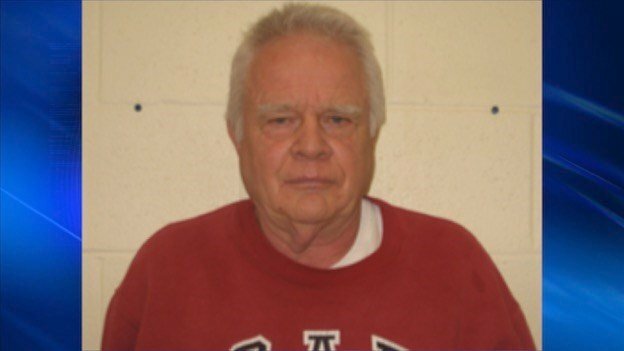 SESSER, Ill. -- Former Illinois State Senator and the former mayor of Sesser, Ned Mitchell, will appear before a judge in February 19 after being arrested for possession of methamphetamine. 70-year-old Mitchell and 42-year-old Elaina Kays both bonded out of jail today. The two were arrested together Tuesday after Sesser police served a search warrant at Mitchell's home. "We knocked for several minutes but didn't get a response," said Sesser Police Chief Ryan White. Chief White says in a case like this, when someone doesn't answer the door, police will let themselves in, "You don't know if someone is in there destroying evidence or if someone has overdosed, so we had to force our way in." Police found Mitchell and Kays in the basement. White says they were cooperative as officers escorted them upstairs and had them sit on the couch while the home was searched for drugs. Officers found what they believed to be meth and drug paraphernalia, charging them both with unlawful possession. On Judici, records show Kays has been in trouble before for drugs, forgery and theft. Mitchell however, has no previous drug charges but has made the news for incidents that occurred while he was mayor. In 2011, Sesser almost lost its water service after Mitchell shorted the city's monthly payment to the Rend Lake Conservancy District by $5,000 a month for more than a year because he believed the city was overcharged for a faulty meter. An audit from 2013 revealed that the city reimbursed Mitchell for political activities from city funds and found a nearly $20,000 check made out to cash with no explanation as to why. In 2014, an audit requested by current Mayor Jason Ashmore, showed that between 2008 and 2013 nearly a million dollars of city money was misused, under the watch of Mitchell. "During that investigation, everything was turned over to state and federal authorities and we have never heard anything back," said Ashmore. Mayor Ashmore says what happened is tragic but past run-ins with Mitchell have nothing to do with this investigation. Chief White agreed, "If it would have been same circumstances and a different person, we would have handled it all the exact same way." Chief White did say he expects more charges to be filed. As of late Tuesday afternoon, Mitchell and Kays did not have court dates set for the drug charges. FRANKLIN COUNTY, Ill. -- Former Illinois State Senator and the former mayor of Sesser, Ned Mitchell, is jailed in Franklin County. The Franklin County Sheriff's Department confirms to News 3 that Mitchell was arrested for possession of methamphetamine (or meth). Mitchell served as Sesser Mayor from 1980 to 2013. He also served in the Illinois Senate representing the 59th district for one year.